The 7th edition of the Intl. 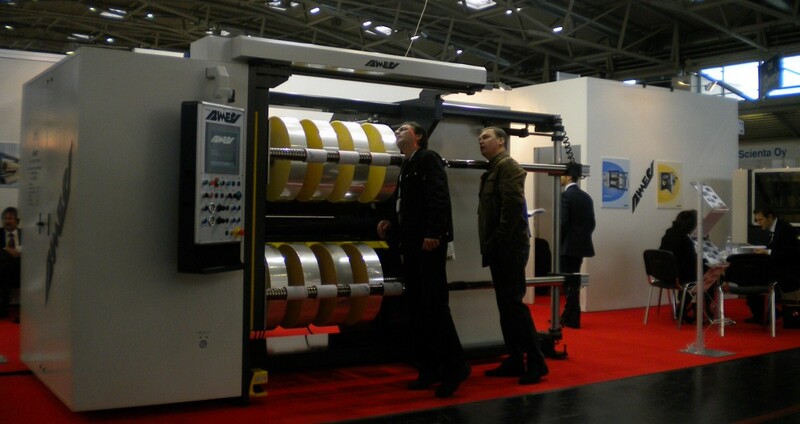 Converting Exhibition (ICE Europe 2011) closed last Thursday with record numbers of visitors, exhibitors and display space. With 5,700 visitors from 65 countries, 384 exhibitors from 23 countries and a net exhibition space of some 10,000 sq meters (108,000 sq ft), ICE Europe 2011 broke all records. At its new venue, the Munich Trade Fair Centre, the show had grown by 7% in visitor numbers, by 17% in exhibitors and by 24% in display space compared to the previous event. Here’s a brief look at some noteworthy new machinery. 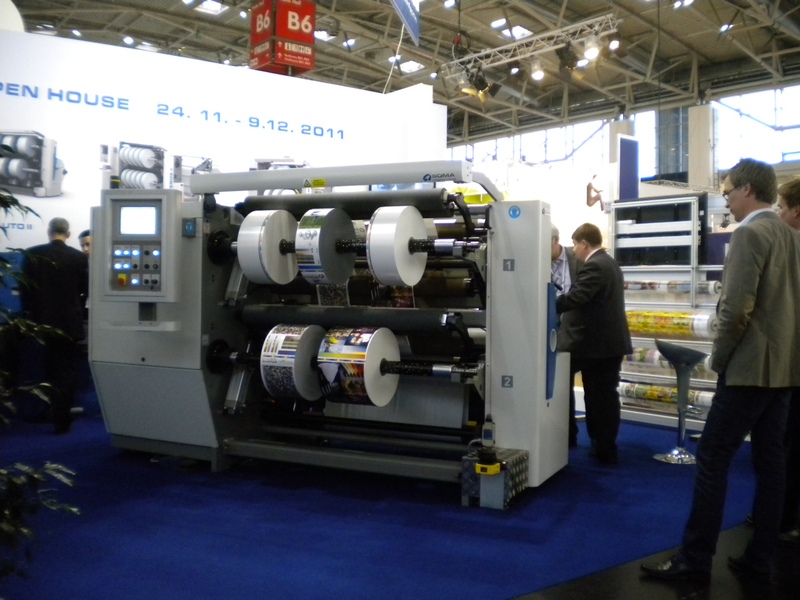 Check out my next post for details on these and other new-product developments from the biennial trade fair. 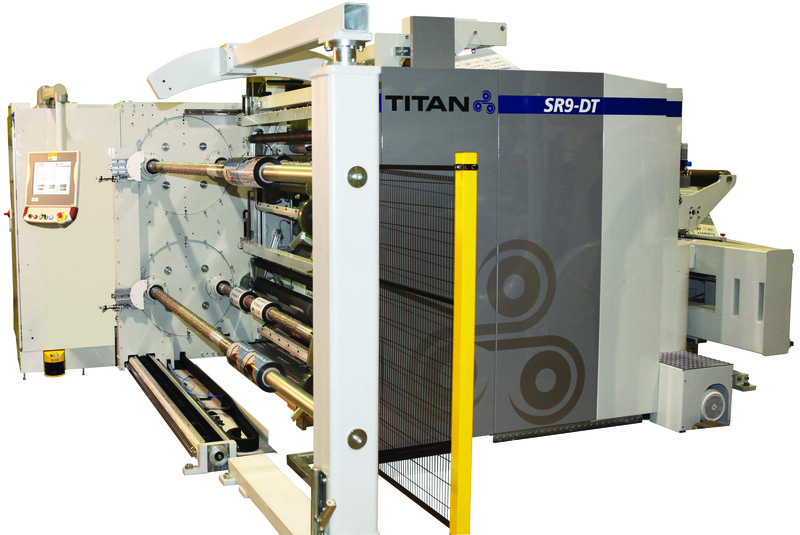 Atlas Converting Equipment, Ltd. (UK)’s new Titan SR9-DT Dual Turret slitter/rewinder was demonstrated three times a day during the show. The Bimec S.r.l. 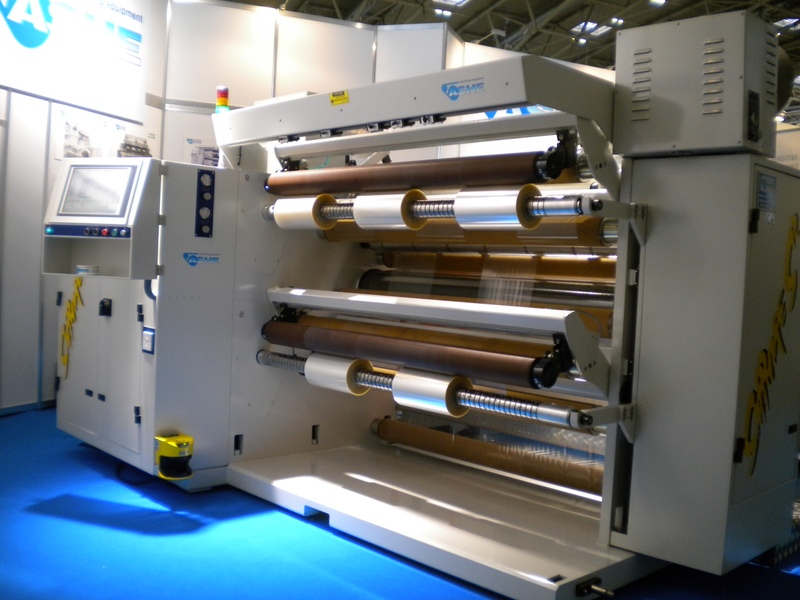 STM/83 dual-spindle slitter/rewinder is suitable for plastic films, paper and laminates with high output, durability and innovative design. Designed to run at speeds up to 700 mpm (2,300 fpm), the Sapphire S2 from Ashe Converting Equipment has slitting assemblies for fast setup and pattern changeover. 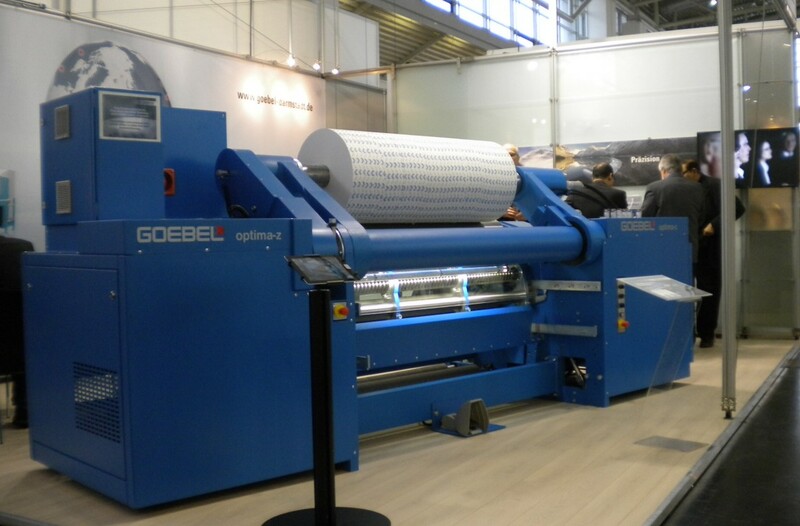 The Goebel Optima-Z rewind station for cigarette, tipping and filter papers has a working width of 1,650 mm (65 in.) and runs at 1,200 mpm (3,900 fpm). 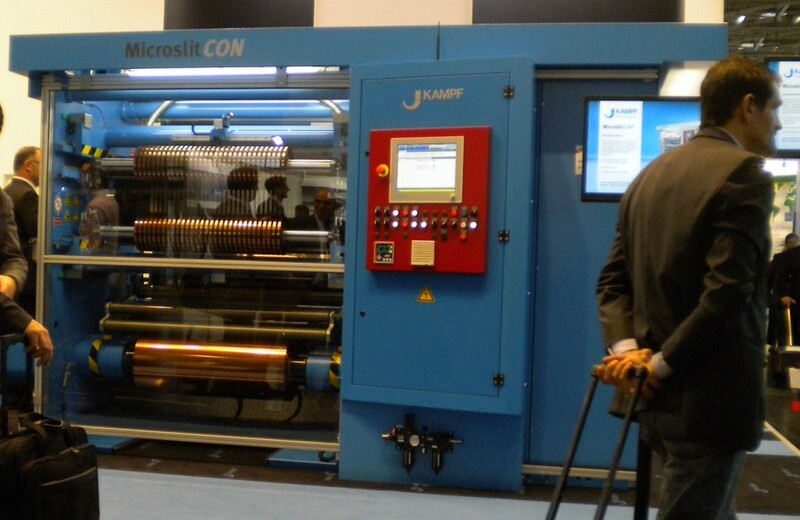 Handling extremely narrow cuts on metallized PET, BOPP and BOPET films of 1.5-12 microns, this Kampf MicroslitCON was sold to process battery-separator films. With reduced downtime and high versatility, the RB4 slitter/rewinder from Laem System handles materials from 10-450 microns with razor or circular-knife cutting. 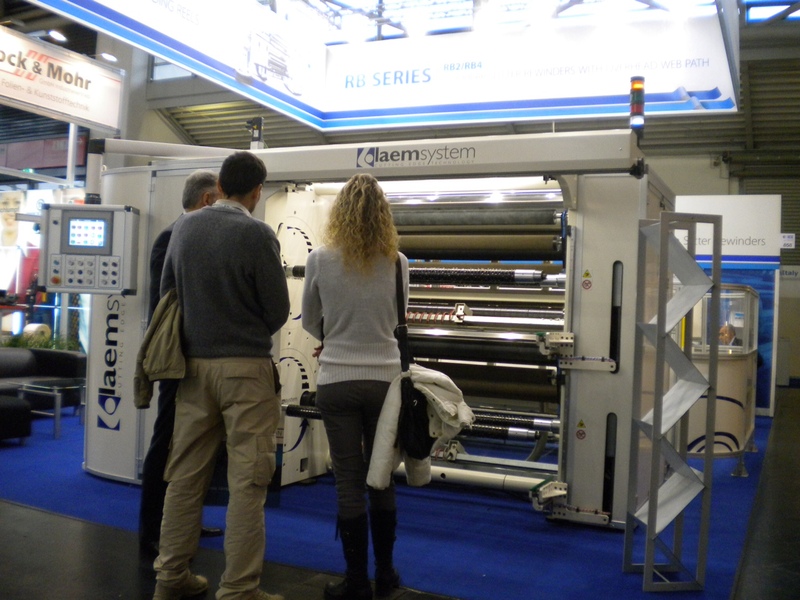 “Think economically and slit ecologically” is the theme of the new SOMA Engineering Pluto eco slitter/rewinder for entry-level operations. 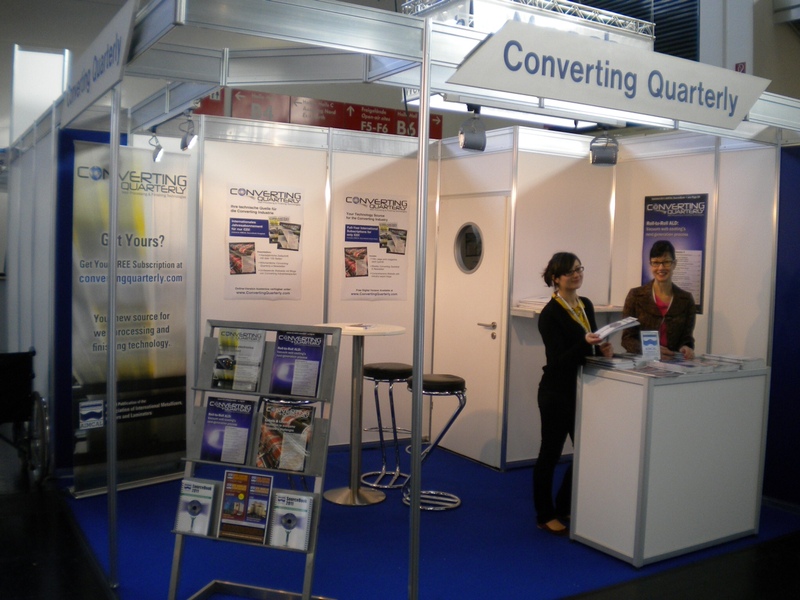 Shameless plug: Here’s the Converting Quarterly stand with our bilingual sales team: vice president of sales Cindi Stocker (at right) and German translator Carina Spaulding. Yes, my daughter came over from Manchester, UK, to help us out for the European-market debut of AIMCAL‘s official technical journal. 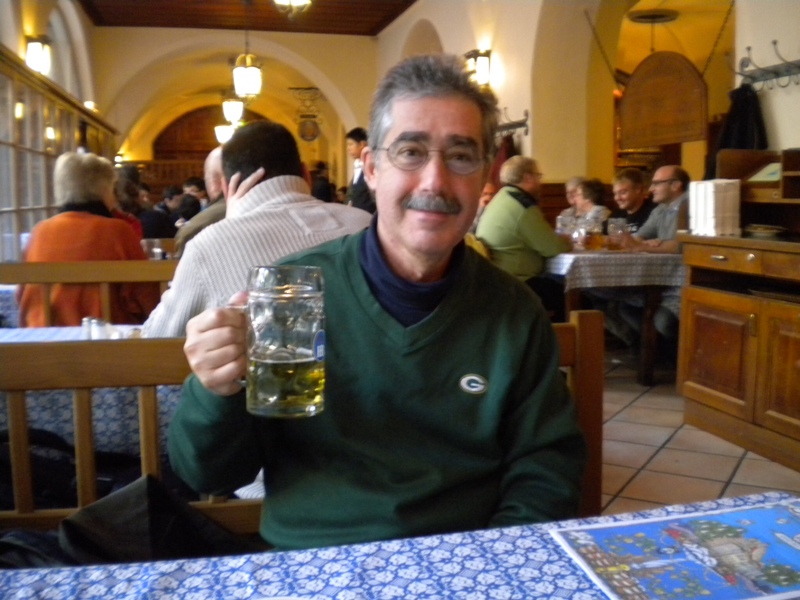 Finally, all work and no play would make ICE Europe a little boring, so here I am enjoying a cold one at Munich’s world-famous Hofbräuhaus. Prost! This entry was posted in coating/laminating, flexible packaging, labels, paper/paperboard/cartons, printed electronics, slitting/rewinding, sustainability and tagged converting, flexible packaging, ICE Europe, labels, packaging, paper, paperboard packaging, plastic film, sustainability. Bookmark the permalink.